It’s one of our favorite times of the year, when the weather is cooling off, the leaves are starting to turn colors, football season is in full swing, and of course the playoffs begin in Major League Baseball. So to commemorate this year’s postseason, which begins tonight in Kansas City as the Royals host the Oakland A’s, we thought it would be nice to pass on a few fun facts about the long history of synthetic turf over the years in baseball’s postseason. 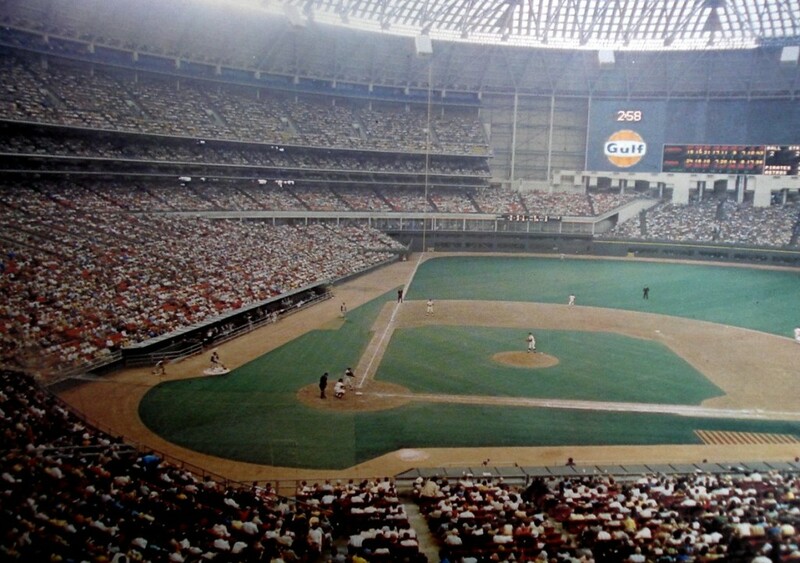 Since the very first synthetic turf field was introduced in the Houston Astrodome in 1966 (above), at least one playoff participant has played their home games on synthetic turf every year, except for seven seasons (including 2014). The very first playoff game on synthetic turf was played on October 3, 1970 between the Cincinnati Reds and the Pittsburgh Pirates at Three Rivers Stadium in Pittsburgh. The same 1970 National League Championship Series (NLCS) was also the first playoff series played entirely on synthetic turf. The Reds were the first team to host a World Series game on synthetic turf, when they played the Baltimore Orioles in the 1970 Fall Classic. The first night game in World Series history was played on synthetic turf in 1971 at Three Rivers Stadium in between the Pirates and the Orioles. It wasn’t until 1980 that every game of the World Series was played on synthetic turf. The Philadelphia Phillies and the Kansas City Royals met in that Fall Classic, which also marked the first time that the final out of the World Series was made on synthetic turf. The 1985 American League Championship Series was the first ALCS where all seven games were played on synthetic turf. It also saw the first Game Seven played on synthetic turf. The 1985 World Series was the first seven game Fall Classic played on synthetic turf. The Minnesota Twins hosted Game One of the 1987 World Series, which was the first ever indoor World Series game, and also the first to be played on synthetic turf. The 1993 World Series between the Phillies and the Toronto Blue Jays was the last World Series to be played entirely on synthetic turf. Game Two of the 2008 World Series in Tampa was the last Fall Classic game to be played on synthetic turf. The Cincinnati Reds have the best playoff record on synthetic turf, boasting a 24-11 mark all-time. Minnesota has the best American League playoff record on synthetic turf at 16-12. The Twins were unbeaten at home on first generation turf, which required no infill and was composed of short pile fibers. Talk about a home field advantage. While there have been several years where three teams in the playoffs played home games on synthetic turf, there has never been a year in which every playoff team did. Currently only two Major League teams play home games on synthetic turf, the Tampa bay rays and the Toronto Blue Jays. Hopefully your favorite team is in this postseason. Even if there is no synthetic turf this year, it’s going to be fun to watch the 2014 Major League Baseball Playoffs.